We are convinced that many enterprises are not fully tapping into their, theoretically accessible, productivity potential because their leadership positions are held by the wrong people. For example, a staffer excelling in process optimization and systems maintenance is not automatically a good leader. Working with people calls for altogether different strengths and values. An economically successful business, striving to leave their competitors in the dust, needs managers and leaders – each in the proper proposition. The manager builds the house, the leader creates a professional homeland. An outstanding company drawing fully on its potential needs both the mason who can put up perfectly aligned walls as well as the interior architect designing a comfortable living space. A mason suddenly required to professionally design an interior is about as successful as an interior specialist told to lay bricks. How does the leadership quality in your enterprise measure up? Do your leaders responsible for employee performance truly lead? Or are these positions filled by managers, whose strengths lay in upholding systems and processes – not in people work? The D.R.E.A.M. 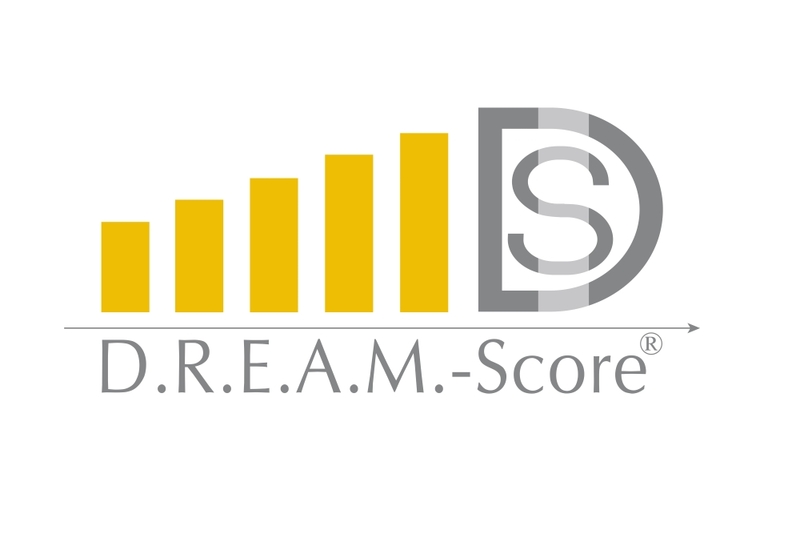 Score®, an online-based analysis and comparison instrument, measures the leadership quality in your company. Find out how you measure up! Leadership quality is measured via a manger’s self-assessment, which is then compared to the external assessment of direct employees, colleagues and superiors. Would you like a panoramic view of your leadership quality, spanning your entire corporation? We then recommend the Organizational D.R.E.A.M. Score®. Here, you will discover just how many leaders and managers are in your organization, allowing you to recognize your optimizing potential. Should you be more interested in discovering the leadership competence of a single person or of a team, then the Personal D.R.E.A.M. Score® is the right tool for you. The Personal D.R.E.A.M. Score® measures an individual manager’s potential, generating an articulate recommendation for his further career either in management or leadership. Are you looking to tap into for your company’s full potential and position your leaders for the best results? Then get in touch with us today for an initial consultation, utterly free of cost and obligation. Let us set out together to find the D.R.E.A.M. Leaders in your business and promote leadership quality to a higher level!